South India Tour Packages - Travel South India, and experience the varied cultural heritage of South India on your South India tour. 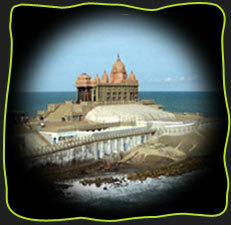 Tourism South India offers best South India tour package for south tour of India. 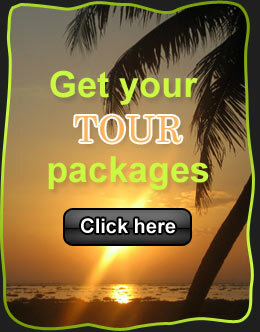 Tour packages | Travel Agent | Tour Operator | Travel packages South Tour Package Backwater Tour HouseBoat Tour Kerala Tour Plan Your Tour Fb Button South Package Relaxing Family Vacations South India Tour Package » Curry & Cultural Tour (7N/8D) - Itinerary - Book Package Pilgrimage/Culture- South India » Temple Tour Of South India (11N/12D)- Itinerary - Book Package Beach / Ayurveda South India Travel Backwaters Tours » South India Travel - Backwater Tour Package (3N/4D)- Itinerary - Book Bird Watching with South » The Jungle Adventure (14N/15D) - Itinerary - Book Package South - Local Regional Tours » Ooty & Munnar Tours (8N/9D)- Itinerary - Book Package ...more South India Travel Package Articles For Readers ¤ Ancient History of South India ¤ Medieval History of South India ¤ Modern History of South India ¤ Nature Trail - South India ¤ Heritage Trail - South India ¤ World Heritage Sites - South India ¤ Weddings in South India ¤ Useful Phrases ¤ Carnatic Music South India ¤ South India Kathakali Dance ¤ Top Things to Do in South India ¤ Jog falls - Karnataka in South India Contact Our Planner [for right Tour Request, Price Quotation, Itinerary Suggestions, Bookings] Arrival: Duration: People: Budget: (?) Tour Style: Requirements & Travel Plan: (?) Your Contact Information Name: E-mail: Country: City/Town: Phone: (?) Get Free Travel Options South India Cities ¤ Kochi ¤ Trivandrum ¤ Chennai ¤ Bangalore ¤ Tirupati ¤ Hyderabad ¤ Vijayawada ¤ Thekkady ¤ Madurai ¤ Warangal Travel States ¤ Tamilnadu ¤ Karnataka ¤ Andhra Pradesh ¤ Pondicherry ¤ Lakshadweep Send Your Travel Plan South India Tour Packages Hill Stations in South India ¤ Munnar ¤ Kodaikanal ¤ Nilgiri Hills ¤ Ooty Beaches in South India ¤ Alappuzha Beach ¤ Kovalam Beach ¤ Kanyakumari Beach ¤ Malpe Beach ¤ Varkala Beach Ayurveda, Meditation & Yoga in South India offer the best of Yoga and Meditation tours. 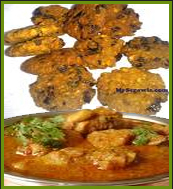 Get the treat of Ayurveda with South India tour at the exotic South Indian destinations. Top Attractions of South India Tour Plan your South India travel to visit the amazing cities, monuments, temples and other top attractions of South India. Temples in South India ¤ Somnathpur Temple ¤ Meenakshi Temple ¤ Tirupati Balaji ¤ Mahabalipuram Temple ¤ Sabarimala Temple Wildlife in South India ¤ Periyar Wildlife ¤ Idukki Wildlife ¤ Thekkady Wildlife ¤ Bandipur National Park ¤ Nagarhole National Park Houseboats in Kerala Make your South tour memorable with the unique experience of houseboat ride in the tranquil backwaters of Kerala. Backwaters in Kerala Enjoy the serene beauty of backwaters in Kerala with South Indian tour. Heritage/Culture South India ¤ Heritage ¤ Tamilnadu Heritage ¤ Karnataka Heritage ¤ Andhra Pradesh Heritage ¤ Pondicherry Heritage Monuments in South India ¤ Char Minar ¤ Golconda Fort ¤ Gol Gumbaz ¤ Mysore Palace ¤ Jewish Synagogue Festivals of South India Hotels in South India Make your South travel pretty comfortable like home stay with the hotels in South India. » Hotels in Kochi » Hotels in Trivandrum » Hotels in Chennai » Hotels in Bangalore » Hotels in Mysore » Hotels in Hyderabad ...more Hotels in South India India Package Have a team of Guides and Tour Escorts.Have well-trained staff to provide personalized services to every guest.Have our Branches and Associates in every important city of India In addition to tailor-made, individual - specific itineraries, we also organize special Interest with emphasis on Arts and Crafts, Yoga, Architecture, Cultural and Historical India. 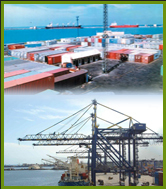 We are active members of PATA India Chapter, ASTA, JATA, IATO, SKAL. Personalised Private Ltd have won the Good Award. taxi service offer attractive and exciting IN PONDICHERRY car rentals and PONDICHERRY solutions and maintains some of the highest standards of service in the SOUTH INDIA TOURISM industry. 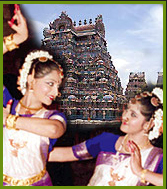 Popular travel agent in Pondicherry and SouthIndia providing one of the best travel agents in south India tourism industry, We offer excellent south India tours like Pondicherry tours, South India,Tamil Nadu and Kerala tours for taxi rental service and south india cab rentals , coach rentals,luxury cars and bus Kerala, Karnataka,Kashmir,Bihar,Andhra,Orissa,Bhuvaneswar,Cuddalore,Trichy,Kanniyakumari,Coimbatore,Salem, Erode, Tutokorin,bangalore,Kochi,Thekkady,Vellore,Udhagai,villupuram,auroville,chidambaram,madurai,arasur,france,germany,london,thuruvannamalai,virudachalam,karaikal,ulundurpet,tholudur,perambalur,ariyur,festivals,villages,celebration,UK,Germany, Italy,tourisme,guide,dictionary,vacation,port,goa.